Rodrigo Duterte, one of the presidential candidates in the Philippines elections, is likely to be arrested if he travels to the United States. According to the State Department documents released by Wikileaks, the US Government has “solid evidence” that Duterte is responsible for the extrajudicial killings and enforced disappearances in Davao City. 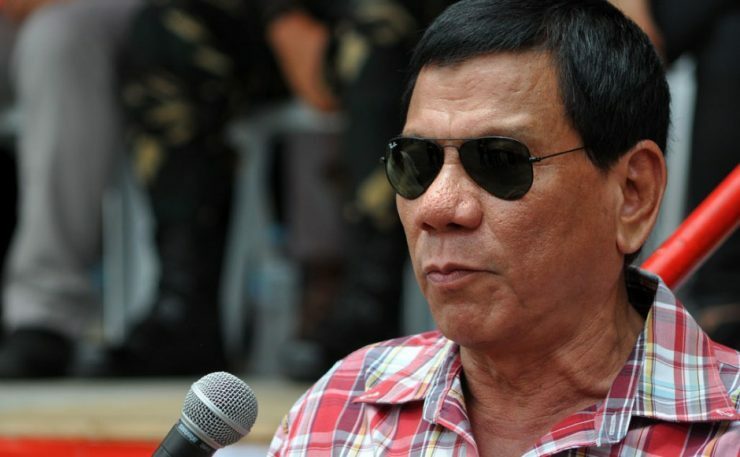 On 14 April 2016, Philippine presidential candidate Grace Poe revealed that she will appoint her rival, Rodrigo Duterte, as crime czar if she wins the Presidency: “I want to offer to him the position as crime czar because of what he said that he will finish the problems of criminality in six months”. Grace Poe’s “crime tzar” is considered a criminal by the US Government. Based on “solid evidence”, the State Department established that “Mayor Duterte of Davao City is clearly behind a group called the Davao Death Squad“. The State Department is convinced that Rodrigo Duterte “supports” and “encourages” the extra-judicial killings. He is the one who decides “to green light” the Davao Death Squad (DDS). It was Mayor Rodrigo Duterte himself who privately “acknowledged his active support of the Davao Death Squad (DDS) group”. He did it during a 2003 meeting with Political officers of the US Embassy in Manilla. And he did it again, two years later during a conversation with an official from the Embassy of Australia in Manila. Duterte told the Australian officer that “killings were what criminals understood” and that this was “the way things are done here”. The State Department has “documented evidence of hundreds of vigilante-style killings of civilians in Davao city” since the late 90s. The Davao Death Squad, a vigilante group “formed by the mayor”, carried out many of the killings. DDS is an underground network made up of former criminals and militants, perpetrating killings in exchange for payment. Victims are “usually street children and petty criminals”. The U.S. deplores the Davao killings and privately urges the Philippine government to undertake thorough investigation. “A separate investigation into Mayor Duterte’s connection to the killings” should be opened. US Government believes Duterte needs to be brought to justice and held responsible for “his involvement in the killings”.